Are you during a real estate transaction and need professional legal counsel ? If you’re considering buying or selling real estate in the neighborhood, make sure you have an experienced legal attorney by your side. Contact the attorneys at Coleman & Macdonald Law Office today. Our experienced attorneys can help make the offer, begin the negotiation process for the purchase of your home, walk you through the sale, and develop a favorable buyer-seller agreement. Loan modification: A loan modification restructures the terms of your loan and results in affordable monthly payments. Short sale: In a short sale, the lender agrees to accept a sale of your house for less than the outstanding mortgage amount as payment in full on your outstanding debt. Deed in lieu of foreclosure: With a deed in lieu of foreclosure, you transfer ownership of your home to the lender in order to avoid a formal foreclosure and fully satisfy the outstanding mortgage. Coleman & MacDonald Law Office represents clients engaged with commercial real estate and residential real estate matters. 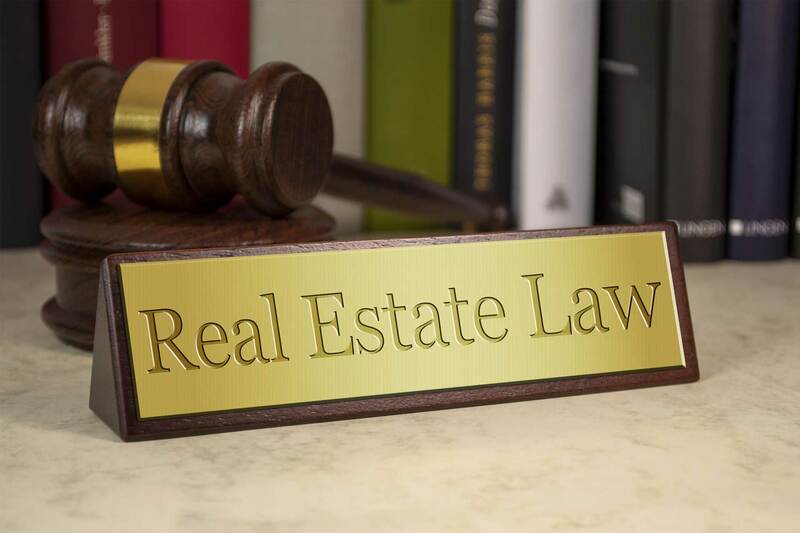 Knowing that real estate problems often require expertise in numerous regions of legislation, our real estate lawyers possess the capability to work effectively and efficiently across practice areas such as ! We are a client centered practice focused on personal attention. Inside the real estate law practice, however, there are very specific regulations and laws such as the Truth in Lending Act (TILA) and the Real Estate Settlement Procedures Act (RESPA), which govern real estate transactions and lenders that make loans for real estate purchases and loan refinancing. In the aftermath of the housing bubble, the mortgage catastrophe, and unstable housing market, real estate investors and home owners in Massachusetts must be more diligent than ever before with regards to securing financing to fund their property purchase, mortgage refinance, or renovation job. The experienced Boston real estate lawyers at Coleman & MacDonald Law Office are trusted by customers to recognize potential legal problems before they arise and to deliver industry-leading legal representation in most regions of our real estate law practice, which include ! Many New England real estate owners, particularly those who own residential or commercial building land around the Greater Boston Area, will discover that their property lines and borders were drawn decades ago — sometimes centuries ago. For that reason, their boundary lines may not be clearly marked on the land or on their own old subdivision map, survey or plot plan. When land lines and boundaries aren’t clear, confusion can create a point of dispute between neighbors. Many people think of home for college students in the context of on-campus dormitories. Nevertheless, many students decide to live in off-campus apartments. This is common for students of institutions located in metropolitan areas like Boston. While residing off-campus has several advantages, it also raises several issues that college students should be aware of before they, or their parents, indications an apartment lease. The laws governing condominiums are multifaceted and complex. First, all condominiums in Massachusetts are controlled by the terms of a document known as the “master deed” and Chapter 183A of the Massachusetts General Laws. Second, normally the entity that created the condominium is a trust and therefore, a document qualified “declaration of trust” also controls the inside workings the condominium. This high degree of regulation oftentimes leads to violations and disputes among unit owners and the condominium association trustees. The condominium law lawyers at Coleman & MacDonald Law Office represent clients in a broad scope of condominium related matters, such as disputes among condominium unit owners, disputes between condominium unit owners and the condominium association broad of trustees, actions for an accounting of the condominium common cost monies and converting a property into a condominium. An easement is an interest in real estate which affects residential and commercial property owners in a fundamental way. Given the complexities of Massachusetts easement legislation and principles, it’s extremely important to contact the Boston-based real estate attorneys at Coleman & MacDonald Law Office who have experience working with easements. Easement and zoning problems tend to arise together so there are many situations where the firm’s zoning litigation attorneys in Boston can be useful as well. When businesses or individuals use funding to finance their purchase of land, the creditors in Massachusetts make loans in exchange for a mortgage on the property that normally includes the “Statutory Power of Sale” provision. A Statutory Power of Sale clause in a mortgage allows a lender to foreclosure on a property without court authorization or oversight. The mortgage protects the lender&rsquoif the debtor doesn’t make the mortgage loan payments. A Homeowners association (HOA) is an unincorporated non-profit association consisting of land owners living in a particular condominium building or residential area. In general, the goal of a home owners association would be to ensure common areas are well kept and certain use and building constraints are enforced. At Coleman & MacDonald Law Office, our attorneys strive to fix landlord-tenant disputes rapidly to avoid pricey litigation. Nevertheless, when a reasonable resolution can’t be reached of litigation, the firm’s landlord-tenant attorneys have a history to providing tenants and landlords with trial court representation that they can respond on for all their landlord-tenant disputes. If the leased property is a clients’ home, a commercial space or a supply of rental income, it’s location that is a very important component of our clientele’ lifestyle and to their business’ operation. Clients in Boston and through Massachusetts trust the landlord-tenant attorneys at Calabrese Law Associates to supply them with industry-leading legal representation. Coleman & MacDonald Law Office knows that litigation is expensive, creates delays, and may be bad for business. Among the firm’s objectives is to prepare contracts which assist in preventing disputes, promote business development, and economically protect their clientele’ interests. The firm’s real estate contract preparation attorneys have real-world real estate business expertise which allows them to effectively prepare and prepare real estate contracts that reach our clients’ goals, restrict their exposure, and guard their interests over the long term. Many individuals seek a realtor when they start search to obtain a brand-new house. Realtors can prove invaluable in finding the right new home, but additionally to coordinating with a realtor, you should also have a real estate attorney who will look out for your best interests through the entire real estate purchase procedure. In Massachusetts, realtors can’t give legal advice, nor will they draft contracts. Realtors can only fill blank standardized forms produced by several realtor groups such as Greater Boston Real Estate Board (GBREB). Anytime you enter a contract, you must shield your interests by having an attorney prepare the agreement or, in the very least, look it over before you sign. This ensures you get the best deal possible and won’t become waylaid by loopholes down the road. Using a one-size-fits-all standardized purchase and sale agreement form is not the most efficient way to guard your interest in a given real estate transaction. The attorneys at Coleman & MacDonald Law Office in Boston Massachusetts are well versed in the regulations and laws affecting lenders. The firm also represents private creditors who’re in the company of providing contractors short-term constructions loans. Regulation of the USA and Massachusetts regulations control much of the lending business and it’s important to understand these rules before participating in the financing business. There’s no one size fits all solution to mitigating real estate investment threat. This is why applies a team approach that is distinguishing to every real estate investment issue, which permits the firm to provide its clients with creative solutions that resolve challenging legal questions affecting their real estate investments. The lease preparation attorneys at Coleman & MacDonald Law Office understand the day-to-day operations of commercial real estate leasing and management from Boston and throughout Massachusetts. The firm’s real estate leasing attorneys give lease preparation and negotiation services to landlords and tenants involved with a broad range of leasing agreements like space, apartments, condominiums, warehouse and ground leases and subleases. The real estate attorneys at Coleman & MacDonald Law Office represent clients at every stage of their residential and commercial real estate transactions including purchase and sale agreement review and negotiation, resolving lien issues, and appearing at the final. The firm’s real estate attorneys are detail-orientated and organized to ensure that all loose ends are tied and that there aren’t any unforeseen delays. Litigation can occur at any stage during a real estate transaction or some other phase of a real estate development project — from purchase to securing financing, commencing construction, preparing leases, and management of the home. Our real estate litigation attorneys have the experience and expertise to advise clients on possible risks and solutions which might be utilized to prevent the costs of litigation. Nevertheless, sometimes litigation cannot be averted and in such instances Coleman & MacDonald Law Office aggressively pursues its clients’ interests in both Massachusetts state and federal courts. Best Real estate attorney | Construction lawyer in 02101, Best Real estate attorney | Construction lawyer in 02108, Best Real estate attorney | Construction lawyer in 02109, Best Real estate attorney | Construction lawyer in 02110, Best Real estate attorney | Construction lawyer in 02111, Best Real estate attorney | Construction lawyer in 02112, Best Real estate attorney | Construction lawyer in 02113, Best Real estate attorney | Construction lawyer in 02114, Best Real estate attorney | Construction lawyer in 02115, Best Real estate attorney | Construction lawyer in 02116 Best Real estate attorney | Construction lawyer in 02117, Best Real estate attorney | Construction lawyer in 02118, Best Real estate attorney | Construction lawyer in 02119, Best Real estate attorney | Construction lawyer in 02120, Best Real estate attorney | Construction lawyer in 02121, Best Real estate attorney | Construction lawyer in 02122, Best Real estate attorney | Construction lawyer in 02123, Best Real estate attorney | Construction lawyer in 02124, Best Real estate attorney | Construction lawyer in 02125, Best Real estate attorney | Construction lawyer in 02126, Best Real estate attorney | Construction lawyer in 02127, Best Real estate attorney | Construction lawyer in 02128, Best Real estate attorney | Construction lawyer in 02129, Best Real estate attorney | Construction lawyer in 02130, Best Real estate attorney | Construction lawyer in 02131, Best Real estate attorney | Construction lawyer in 02132, Best Real estate attorney | Construction lawyer in 02133, Best Real estate attorney | Construction lawyer in 02134, Best Real estate attorney | Construction lawyer in 02135, Best Real estate attorney | Construction lawyer in 02136, Best Real estate attorney | Construction lawyer in 02137, Best Real estate attorney | Construction lawyer in 02141, Best Real estate attorney | Construction lawyer in 02149, Best Real estate attorney | Construction lawyer in 02150, Best Real estate attorney | Construction lawyer in 02151, Best Real estate attorney | Construction lawyer in 02152, Best Real estate attorney | Construction lawyer in 02163, Best Real estate attorney | Construction lawyer in 02171, Best Real estate attorney | Construction lawyer in 02196, Best Real estate attorney | Construction lawyer in 02199, Best Real estate attorney | Construction lawyer in 02201, Best Real estate attorney | Construction lawyer in 02203, Best Real estate attorney | Construction lawyer in 02204, Best Real estate attorney | Construction lawyer in 02205, Best Real estate attorney | Construction lawyer in 02206, Best Real estate attorney | Construction lawyer in 02210, Best Real estate attorney | Construction lawyer in 02211, Best Real estate attorney | Construction lawyer in 02212, Best Real estate attorney | Construction lawyer in 02215, Best Real estate attorney | Construction lawyer in 02217, Best Real estate attorney | Construction lawyer in, Best Real estate attorney | Construction lawyer in 02228, Best Real estate attorney | Construction lawyer in 02241, Best Real estate attorney | Construction lawyer in 02266, Best Real estate attorney | Construction lawyer in 02283, Best Real estate attorney | Construction lawyer in 02284, Best Real estate attorney | Construction lawyer in 02293, Best Real estate attorney | Construction lawyer in 02297, Best Real estate attorney | Construction lawyer in 02298, Best Real estate attorney | Construction lawyer in 02445, Best Real estate attorney | Construction lawyer in 02467. Best Real estate attorney | Construction lawyer in 02114, Best Real estate attorney | Construction lawyer in 02134, Best Real estate attorney | Construction lawyer in 02138, Best Real estate attorney | Construction lawyer in 02139, Best Real estate attorney | Construction lawyer in 02140, Best Real estate attorney | Construction lawyer in 02141, Best Real estate attorney | Construction lawyer in 02142, Best Real estate attorney | Construction lawyer in 02163, Best Real estate attorney | Construction lawyer in 02238. Best Real estate attorney | Construction lawyer in 01901, Best Real estate attorney | Construction lawyer in 01902, Best Real estate attorney | Construction lawyer in 01903, Best Real estate attorney | Construction lawyer in 01904, Best Real estate attorney | Construction lawyer in 01905, Best Real estate attorney | Construction lawyer in 01910. Best Real estate attorney | Construction lawyer in 01701, Best Real estate attorney | Construction lawyer in 01702, Best Real estate attorney | Construction lawyer in 01703, Best Real estate attorney | Construction lawyer in 01704, Best Real estate attorney | Construction lawyer in 01705. Best Real estate attorney | Construction lawyer in 02451, Best Real estate attorney | Construction lawyer in 02452, Best local bankruptcy attorney in 02453, Best Real estate attorney | Construction lawyer in 02454, Best Real estate attorney | Construction lawyer in in 02455. Best Real estate attorney | Construction lawyer in 01830, Best Real estate attorney | Construction lawyer in 01831, Best Real estate attorney | Construction lawyer in 01832, Best Real estate attorney | Construction lawyer in 01835, Best Real estate attorney | Construction lawyer in 01860, Best Real estate attorney | Construction lawyer in 01985. Best Real estate attorney | Construction lawyer in 01850, Best Real estate attorney | Construction lawyer in 01851, Best Real estate attorney | Construction lawyer in 01852, Best Real estate attorney | Construction lawyer in 01853, Best Real estate attorney | Construction lawyer in 01854. Best Real estate attorney | Construction lawyer in 02122, Best Real estate attorney | Construction lawyer in 02169, Best Real estate attorney | Construction lawyer in 02170, Best Real estate attorney | Construction lawyer in 02171, Best Real estate attorney | Construction lawyer in 02184, Best Real estate attorney | Construction lawyer in 02186, Best Real estate attorney | Construction lawyer in 02191, Best Real estate attorney | Construction lawyer in 02269, Best Real estate attorney | Construction lawyer in 02368. Best Real estate attorney | Construction lawyer in 01810, Best Real estate attorney | Construction lawyer in 01812, Best Real estate attorney | Construction lawyer in 01899, Best Real estate attorney | Construction lawyer in 05501, Best Real estate attorney | Construction lawyer in 05544. Best Real estate attorney | Construction lawyer in 02121, Best Real estate attorney | Construction lawyer in 02122, Best Real estate attorney | Construction lawyer in 02124, and Best Real estate attorney | Construction lawyer in 02125. Best Real estate attorney | Construction lawyer in 02445, Best Real estate attorney | Construction lawyer in 02446, Best Real estate attorney | Construction lawyer in 02447, Best Real estate attorney | Construction lawyer in 02467. Best Real estate attorney | Construction lawyer in 01840, Best Real estate attorney | Construction lawyer in 01841, Best Real estate attorney | Construction lawyer in 01842, Best Real estate attorney | Construction lawyer in 01843. Best Real estate attorney | Construction lawyer in 02457, Best Real estate attorney | Construction lawyer in 02481, Best Real estate attorney | Construction lawyer in 02482. Best Real estate attorney | Construction lawyer in 02129, Best Real estate attorney | Construction lawyer in 02141, Best Real estate attorney | Construction lawyer in 02143, Best Real estate attorney | Construction lawyer in 02144, Best Real estate attorney | Construction lawyer in 02145. Best Real estate attorney | Construction lawyer in 02474, Best Real estate attorney | Construction lawyer in 02475, Best Real estate attorney | Construction lawyer in 02476, Best Real estate attorney | Construction lawyer in 02477, Best Real estate attorney | Construction lawyer in 02030, Best Real estate attorney | Construction lawyer in Dover. Best Real estate attorney | Construction lawyer in 01450, Best Real estate attorney | Construction lawyer in 01464, Best Real estate attorney | Construction lawyer in 01470, Best Real estate attorney | Construction lawyer in 01471, Best Real estate attorney | Construction lawyer in 01472. Best Real estate attorney | Construction lawyer in 02169, 02184, Best Real estate attorney | Construction lawyer in 02185, Best Real estate attorney | Construction lawyer in 02368. Best Real estate attorney | Construction lawyer in 01731, Best Real estate attorney | Construction lawyer in 02420, Best Real estate attorney | Construction lawyer in 02421, Best Real estate attorney | Construction lawyer in 02451, Best Real estate attorney | Construction lawyer in 01730, Best Real estate attorney | Construction lawyer in Bedford, Best Real estate attorney | Construction lawyer in 01731, Best Real estate attorney | Construction lawyer in 01469, Best Real estate attorney | Construction lawyer in Townsend, Best Real estate attorney | Construction lawyer in 01474, Best Real estate attorney | Construction lawyer in 01864, Best Real estate attorney | Construction lawyer in North Reading, Best Real estate attorney | Construction lawyer in 01889. Best Real estate attorney | Construction lawyer in 02026, Best Real estate attorney | Construction lawyer in 02027, Best Real estate attorney | Construction lawyer in 02090, Best Real estate attorney | Construction lawyer in 01930, Best Real estate attorney | Construction lawyer in Gloucester, Best Real estate attorney | Construction lawyer in 01931. Best Real estate attorney | Construction lawyer in 01760, Best Real estate attorney | Construction lawyer in 01778, Best Real estate attorney | Construction lawyer in 02482. Best Real estate attorney | Construction lawyer in 02032, Best Real estate attorney | Construction lawyer in 02071, Best Real estate attorney | Construction lawyer in 02081. Best Real estate attorney | Construction lawyer in Boston, Best Real estate attorney | Construction lawyer in Newton, Best Real estate attorney | Construction lawyer in Cambridge, Best Real estate attorney | Construction lawyer in Lynn, Best Real estate attorney | Construction lawyer in Framingham, Best Real estate attorney | Construction lawyer in Waltham, Best Real estate attorney | Construction lawyer in Haverhill, Best Real estate attorney | Construction lawyer in Lowell, Best Real estate attorney | Construction lawyer in Quincy, Best Real estate attorney | Construction lawyer in Andover, Best Real estate attorney | Construction lawyer in, Best Real estate attorney | Construction lawyer in Woburn, Best Real estate attorney | Construction lawyer in Brookline, Best Real estate attorney | Construction lawyer in Lawrence, Best Real estate attorney | Construction lawyer in Watertown, Best Real estate attorney | Construction lawyer in Acton, Best Real estate attorney | Construction lawyer in Medford, Best Real estate attorney | Construction lawyer in Wellesley, Best Real estate attorney | Construction lawyer in Somerville, Best Real estate attorney | Construction lawyer in Arlington, Best Real estate attorney | Construction lawyer in Dover, Best Real estate attorney | Construction lawyer in Groton, Best Real estate attorney | Construction lawyer in in Billerica, Best Real estate attorney | Construction lawyer in Braintree, Best Real estate attorney | Construction lawyer in Lexington, Best Real estate attorney | Construction lawyer in Bedford, Best Real estate attorney | Construction lawyer in Townsend, Best Real estate attorney | Construction lawyer in North Reading, Best Real estate attorney | Construction lawyer in Needham, Best Real estate attorney | Construction lawyer in Dedham, Best Real estate attorney | Construction lawyer in West Medford, Best Real estate attorney | Construction lawyer in Gloucester, Best Real estate attorney | Construction lawyer in Boston, Best Real estate attorney | Construction lawyer in Salem, Best Real estate attorney | Construction lawyer in Belmont, Best Real estate attorney | Construction lawyer in Peabody, Best Real estate attorney | Construction lawyer in Burlington, Best Real estate attorney | Construction lawyer in Hudson, Best Real estate attorney | Construction lawyer in Rockport, Best Real estate attorney | Construction lawyer in Wilmington, Best Real estate attorney | Construction lawyer in Lincoln, Best Real estate attorney | Construction lawyer in Merrimac, Best Real estate attorney | Construction lawyer in Hathorne, Best Real estate attorney | Construction lawyer in Wellesley Hills, Best Real estate attorney | Construction lawyer in Dracut, Best Real estate attorney | Construction lawyer in Medway, Best Real estate attorney | Construction lawyer in Norwood, Best Real estate attorney | Construction lawyer in Allston, Best Real estate attorney | Construction lawyer in Avon, Best Real estate attorney | Construction lawyer in Chestnut Hill, Best Real estate attorney | Construction lawyer in North Chelmsford, Best Real estate attorney | Construction lawyer in South Hamilton, Best Real estate attorney | Construction lawyer in Winthrop, Best Real estate attorney | Construction lawyer in Woodville, Best Real estate attorney | Construction lawyer in Carlisle, Best Real estate attorney | Construction lawyer in Natick, Best Real estate attorney | Construction lawyer in North Weymouth, Best Real estate attorney | Construction lawyer in West Groton, Best Real estate attorney | Construction lawyer in Nutting Lake, Best Real estate attorney | Construction lawyer in Stow, Best Real estate attorney | Construction lawyer in Melrose, Best Real estate attorney | Construction lawyer in Tewksbury, Best Real estate attorney | Construction lawyer in Foxboro, Best Real estate attorney | Construction lawyer in Milton, Best Real estate attorney | Construction lawyer in Upper Falls, Best Real estate attorney | Construction lawyer in Wenham, Best Real estate attorney | Construction lawyer in in Roslindale, Best Real estate attorney | Construction lawyer in Middleton, Best Real estate attorney | Construction lawyer in Ashland, Best Real estate attorney | Construction lawyer in Hopkinton, Best Real estate attorney | Construction lawyer in Topsfield, Best Real estate attorney | Construction lawyer in Rowley, Best Real estate attorney | Construction lawyer in Sudbury, Best Real estate attorney | Construction lawyer in Medfield, Best Real estate attorney | Construction lawyer in Reading, Best Real estate attorney | Construction lawyer in Danvers, Best Real estate attorney | Construction lawyer in Salisbury, Best Real estate attorney | Construction lawyer in Maynard, Best Real estate attorney | Construction lawyer in Sherborn, Best Real estate attorney | Construction lawyer in West Roxbury, Best Real estate attorney | Construction lawyer in Boxborough, Best Real estate attorney | Construction lawyer in in Nahant, Best Real estate attorney | Construction lawyer in Hanscom AFB, Best Real estate attorney | Construction lawyer in Canton, Best Real estate attorney | Construction lawyer in North Attleboro, Best Real estate attorney | Construction lawyer in West Boxford, Best Real estate attorney | Construction lawyer in Lynnfield, Best Real estate attorney | Construction lawyer in South Walpole, Best Real estate attorney | Construction lawyer in East Weymouth, Best Real estate attorney | Construction lawyer in in Babson Park, Best Real estate attorney | Construction lawyer in Milton Village, Best Real estate attorney | Construction lawyer in West Townsend, Best Real estate attorney | Construction lawyer in Pinehurst, Best Real estate attorney | Construction lawyer in Stoughton, Best Real estate attorney | Construction lawyer in Waverley, Best Real estate attorney | Construction lawyer in Sharon, Best Real estate attorney | Construction lawyer in Georgetown, Best Real estate attorney | Construction lawyer in Mattapan, Best Real estate attorney | Construction lawyer in Holliston, Best Real estate attorney | Construction lawyer in Amesbury.